DCA stands for Disney's California Adventure, Disney's other theme park next to Disneyland. Its theme recreates California landmarks, culture and such. 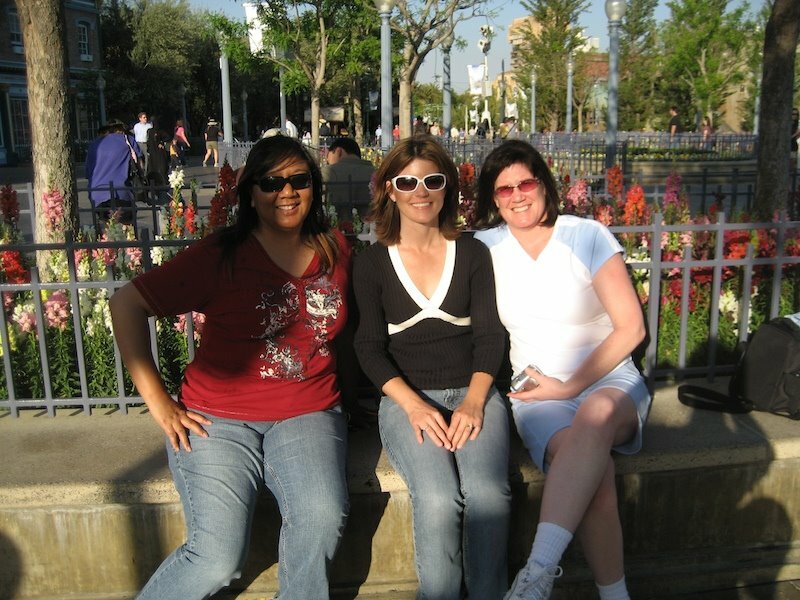 We spent most of the day here, till 8 or 9pm when we went back to Disneyland for a few last rides on the kids favorites. 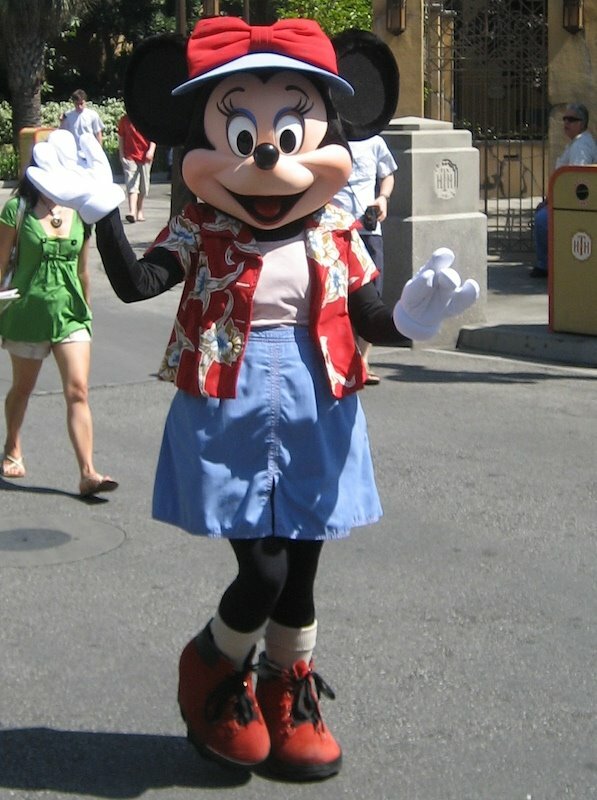 Even Minnie Mouse wears the casual California attire. These are 3 old friends. We've known each other since the 4th or 5th grade. We weren't just friends in school, we hung out after school and during the long, hot desert summer months. Linda and Loretta were best friends through those formative years and maintained their friendship over the past 20+ since graduation. When Linda and I reconnected last summer, she filled me in on how Loretta's been. She lives with her family in the town where we grew up, which is about 1 1/2 hours from Disneyland. So she and her family spent the day with us at DCA. It was so good to reconnect with her and meet her family. It's just warms my heart that even after 20 years I can reconnect with these wonderful, beautiful women. I know for certain that my friendship with them, especially Linda, will continue, hopefully able to visit ever few years or so. I certainly can't imagine waiting till we're 60 (!) to see each other again. Now that would be a trip! "J" and "S" posed in front of all of the letters that spell out CALIFORNIA. 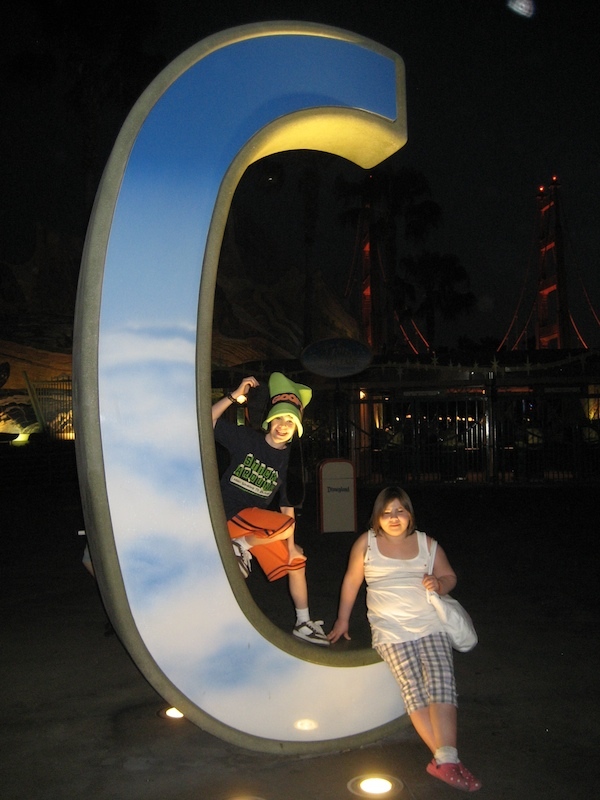 A few years ago on a Disney trip with Phin and Shan, they posed in front of all the letters with the intent of scrapbooking the photos. So I passed this little tip to Linda because coincidentally, she scrapbooks, too! Our last ride of the night was on Space Mountain. Linda and J in the front. Loretta and her friend Deloris in the middle, and me and "S" in the 3rd row. All smiles! Rides: Soarin' Over California, Tower of Terror, Mulholland Madness, California Screamin', Maliboomer, Orange Stinger, Sun Wheel, Tower of Terror. 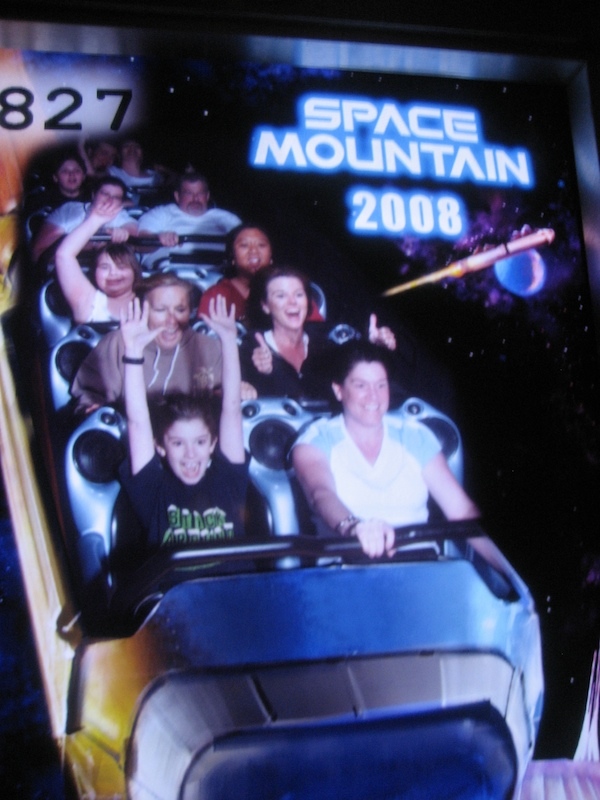 Then Indiana Jones and Space Mountain again at Disneyland. Note to self: Never ever again, ride on that damn ferris wheel. I actually puked a little. Roller coasters, loop de loops, fast drops? Sure, no problem! Just don't talk me into a ferris wheel where the cage freefalls around, please. oh my, you actually barphed? I knew there was a reason why we never went on that ride b/4! It's the ferris wheels that getcha every time. They seem so innocent and sweet, but they are the devil in disguise.